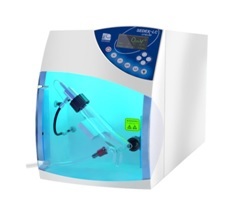 The SEDEX LC represents the ELSD with unrivalled performance/price ratio in Liquid Chromatography. The detector presents new design and innovations to provide the best optical and electronic benefits. Full SOP protocols are provided for GLP compliance and validation procedures. Low temperature evaporation of mobile phase. Single SEDEX LC HPLC nebulizer and innovative cell design minimizes band broadening. The nebulizer covers flow rate from 200µL/min to 2mL/min. With SAGA (SEDEX Automated Gain Adjustment), an innovative gain control available when it is driver-controlled by software, SEDEX LC automatically adapts the gain setting to avoid any off-scale saturation of the detector.